The summer months can leave you quite parched with severe heat and outdoor activities. Although it’s important to drink lots of water to stay hydrated, don’t turn a blind eye on other drinks that can be great for you, like tea! Tea has great health benefits, including helping you lose weight and making your skin look better. No matter what your taste preference may be, we have outlined the benefits of three different types of teas to help you find the perfect one to sip on during your summer days. Ever heard of those nasty things called free radicals? They attach to DNA and slowly damage it. 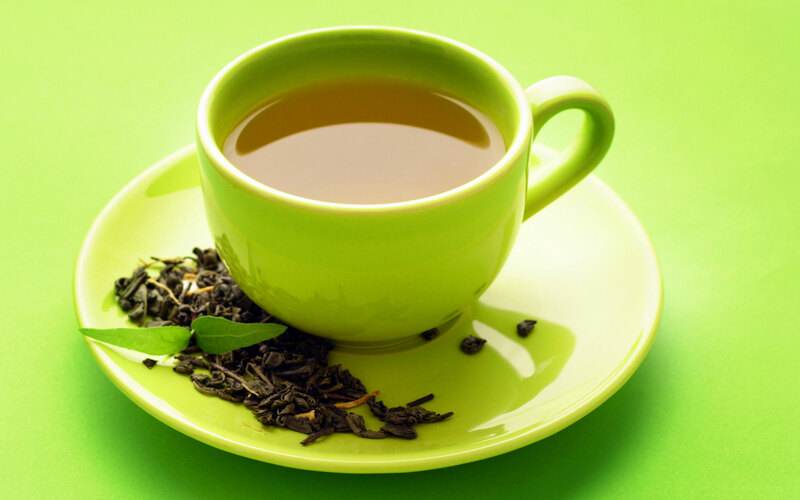 Green tea has tons of antioxidants called catechins in it that help stop the damage free radicals cause. Protect yourself from cancer by drinking green tea. Studies have shown it can help lower the risk for many types of cancer, including breast, skin and stomach cancer. Banish bad cravings, at least somewhat, by drinking more green tea. Green tea helps balance blood sugars and helps keep your energy level, so you don’t have any annoying spikes and crashes that lead to you feeling agitated, tired and craving junk food. Protect your smile! This tea helps prevent plaque buildup on teeth and tooth decay. Oolong tea helps combat bacteria, giving you fresher breath, too! Oolong tea helps speed up metabolism so you burn more calories -- an added bonus for swimsuit season. It also increases lipolysis, the system that burns fats and prevents them from staying in your body. If you struggle with eczema or similar skin problems, drinking three cups of oolong tea a day can help manage symptoms. In one study, patients saw immense improvement with their skin in one week. Fight off colds by drinking more chamomile tea! Studies have shown that chamomile tea helps boost the immune system and fight infections. Dealing with cramps is no fun at all. Chamomile tea can help relieve them thanks to an amino acid it helps create that relaxes muscle spasms. Sleep better by drinking chamomile tea before bed. It acts as a mild sedative and can help you relax and destress after a long day.